Our motto is quality and customer satisfaction with our production process. We are proud of our quality of working with customers and clients. Our teams are trained in understanding client’s requirements and technical part. This helps us in achieveing excellent results with every work. To achieve our goals we use a simple method that is based on our experience, we also ensure that our clients get cost-effective solutions and quality results. After taking any project we do a meeting with our clients and understand the site, its requirement and goals. Once we identify the goals we do a short competitive analaysis based on the competitors. We research their targeted audience and keywords, the site structure, content, and services that the competitor is providing. Competitor analysis leaves us with some targeted keywords. After this analysis is being done we do research to find out the other keyphrases based on the keyword and we also search some long tail keywords by using keyword research tools like: wordtracker, google adwords etc. Once the keyword are being finalized we divide them in related pages based on primary, secondary and turchery keywords. We then incorporate these keyword into the content and if needed write the new one. Code optimization is another part of our SEO work. We do code cleanup so that it can be optimized properly and spider can crawl it faster. When all these steps are complete we do a final check with pages and upload them on server to make live. We do submit site to some search engines and directories to increase its popularity. We ensure that each place where we are submitting the site is follow non-spam technique and search engine guidelines. After implementing all above steps the only work left for us is to maintain the reports, rankings and updating the site to monitor its progress. The SEO process we follow is very ethical and follow white hat technique. With each of our step we take are being taken care that we are following search engine guidelines and rules. We also follow W3C validation after creating our webpages with proper code cleaning and optimization. Our team of professional are experienced in submitting the site in quality search engines and directories that are theme based. 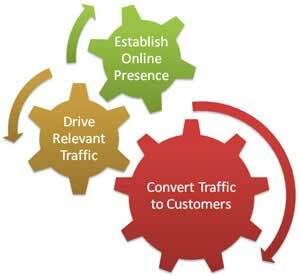 In order to increase link popularity we do follow linking process whether it is oneway, twoway or threeways. Before staring the SEO process we take brief about the site from client. We understand their requirement, their competitors area and the development areas of site. Our SEO process is very cost-effective and easily affordable by anyone. Our priority is our clients and we do every possible thing for client satisfaction. We take care that none of our step goes against rules. So we check each of our work twice before making it live be it content, development or HTML.